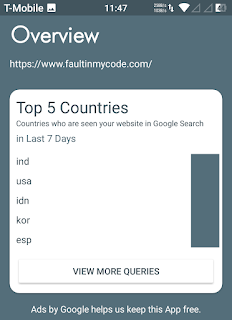 However Search Console tool initially can seem to be quite overwhelming so we guys at Faultinmycode.com didn't wanted you guys to face similar problem like us to have to login daily, wait for 5 mins and see if 3 days ago your website got some clicks or not. Therefore we made an app for you guys. 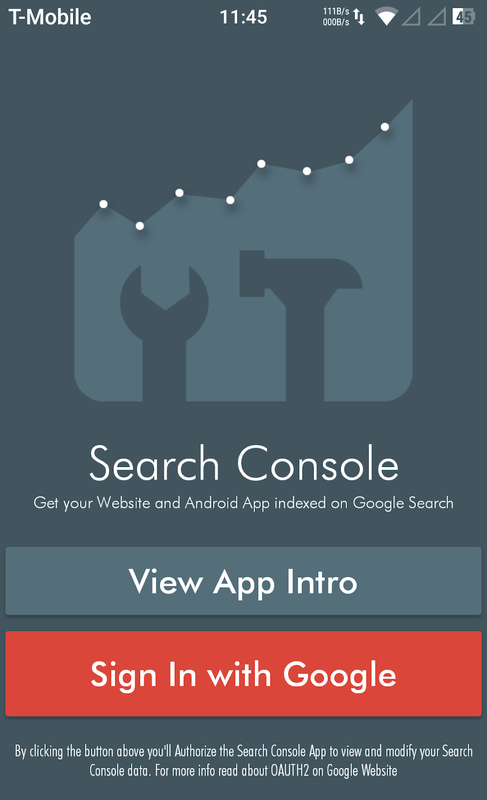 Yes, Its The Search Console App (but for Android users only currently!). 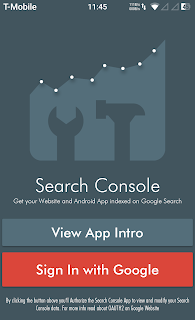 This blog is a tour to how you can Get your Website Ranked on Google using this Search Console Android App. 2. Open the app and you'll be greeted with a Login screen like shown below, Though you can have a tour but we will skip that here and simple click on 'Sign in with Google'. You must have Google Chrome App to continue. 3. 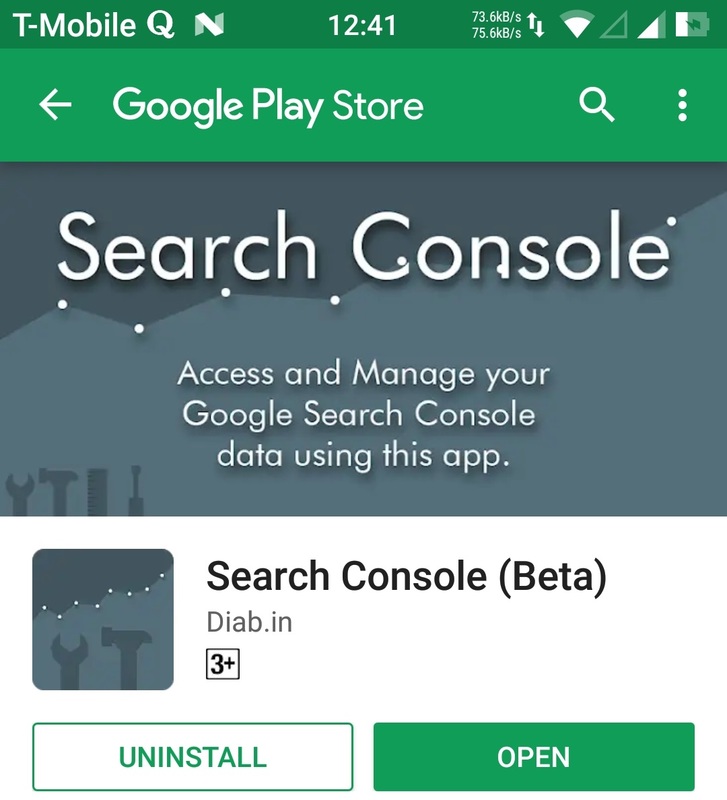 Here Google will show ask you if you want to permit the app to access and manage your Google Search Console data. Scroll bottom, Click OK to continue. 4. 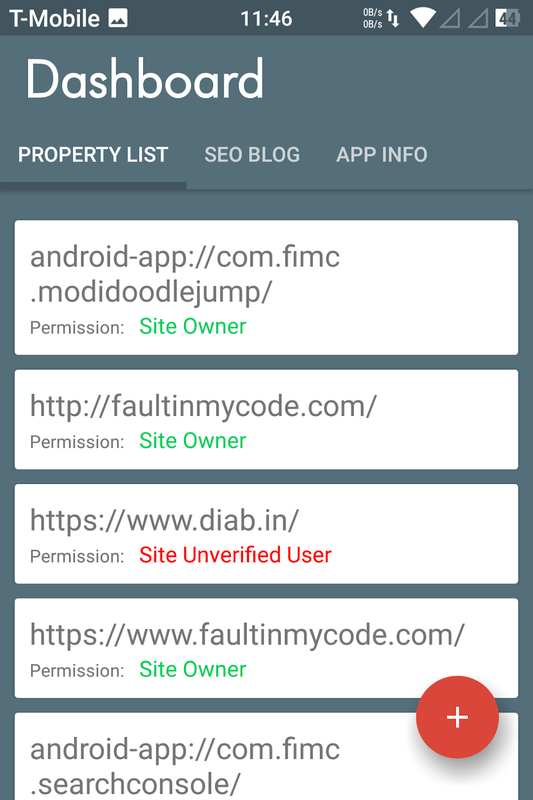 Once the app is successfully authorized and connected, you'll be directed to main activity of the app where you can see Property list or list of your verified and non- verified websites or apps. If you see nothing here, click on the '+' plus sign in the bottom right to add a new Website or App. 4.3. 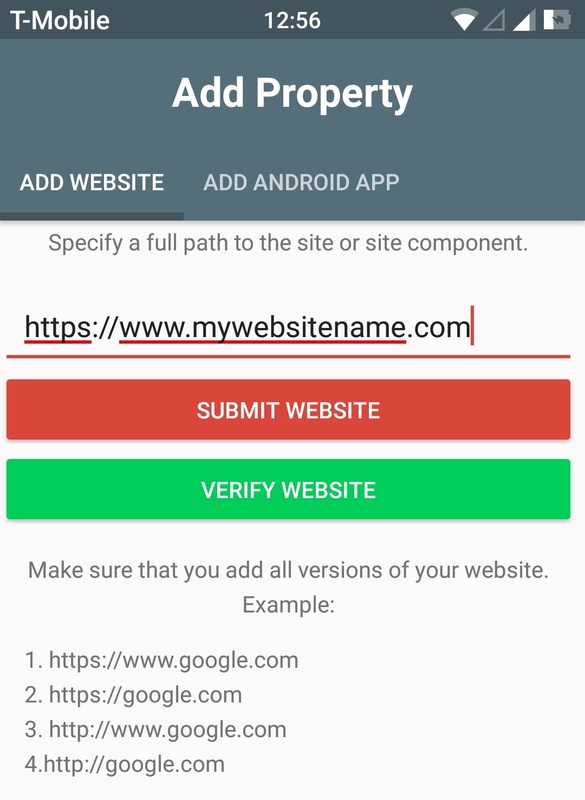 However, once submitting your Android app, you've to just submit your Android app package name once only. 4.4. If successful, you'll be shown a Toast message with a Green Button to 'Verify Ownership' of your website. Click button and you'll be directed to a link in a web browser where you have to follow certain steps by Google to verify your website ownership. 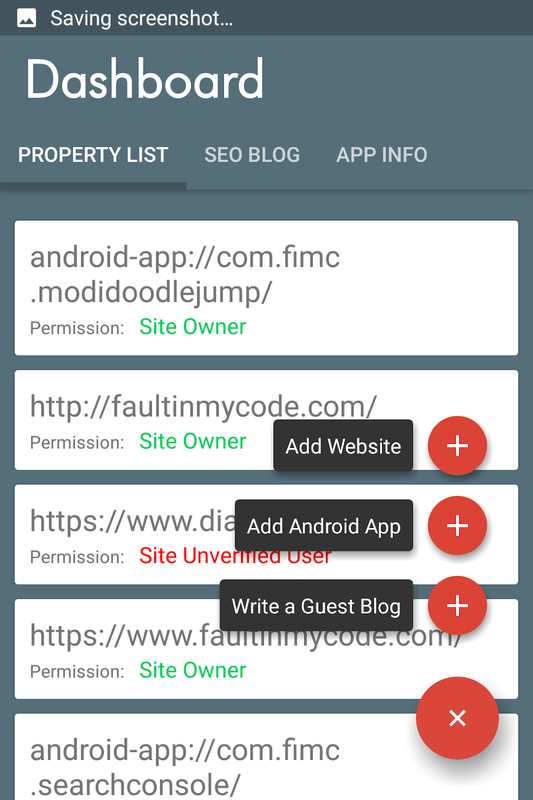 4.5 Android Apps are however automatically verified as developer account is linked with your account. 5. In the main 'Property List' tab you can view all your verified and non- verified websites or apps. 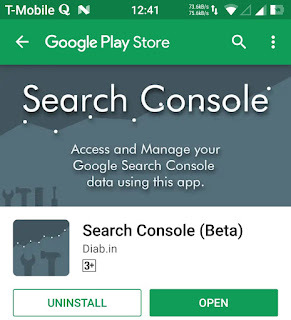 In 'SEO Blog' tab you can read and learn more about SEO and in 'App Info' developer provides certain information about the app version and app credits. Clicks in Last 7 Days. 7. Every card has a 'View More' Button below it where you can find more details about your website respective property. 8. 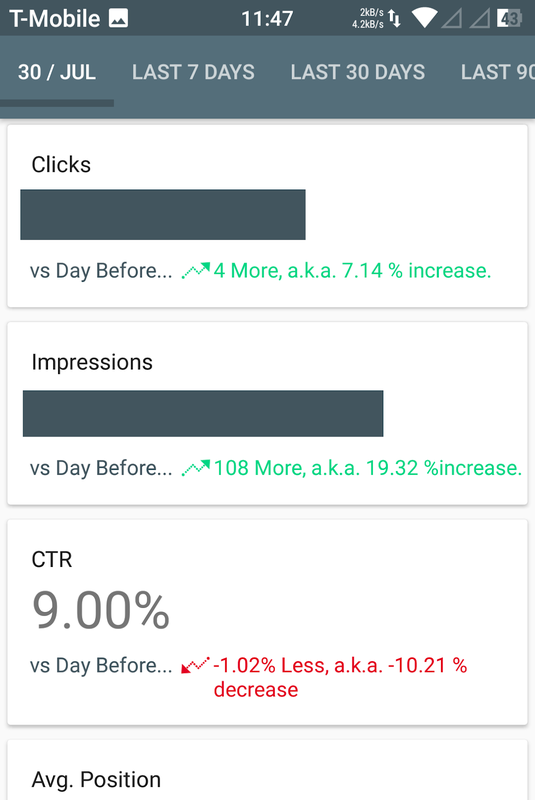 If you click on Click property, you can view Impressions, Average Position and Click through rate of your website. 9. 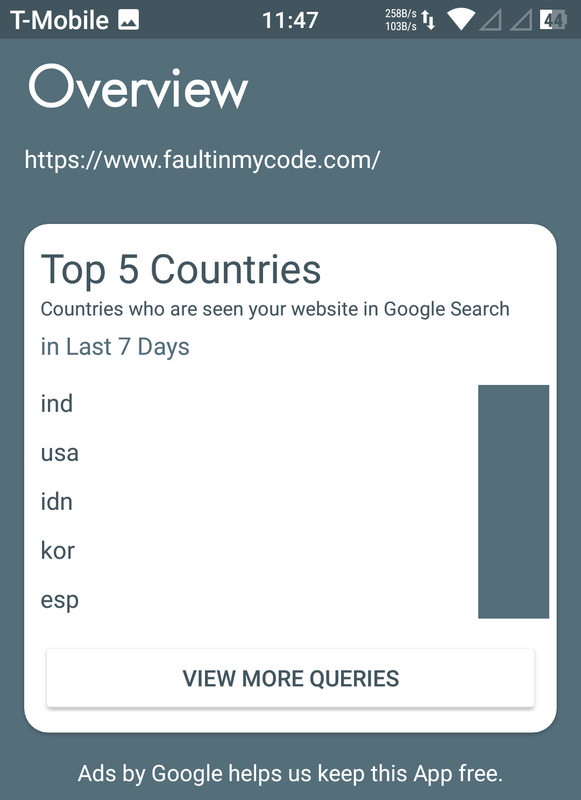 If you click on Top 5 Countries property, you can view Top Keywords, Top Countries, Search Appearance, Devices and Top Pages of your website. 10. If you click on Crawl Errors, you can manage Errors and mark them as fixed in your Website. 11. 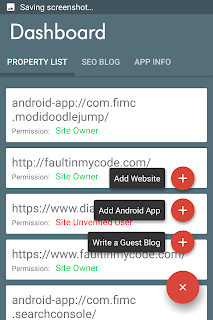 If you click on Sitemap property, you can view and manage active Sitemaps of your website. You can also submit one more sitemap if you wish to and enable Google bots to easily crawl all pages or blogs of your website and rank in onto their page. 12. 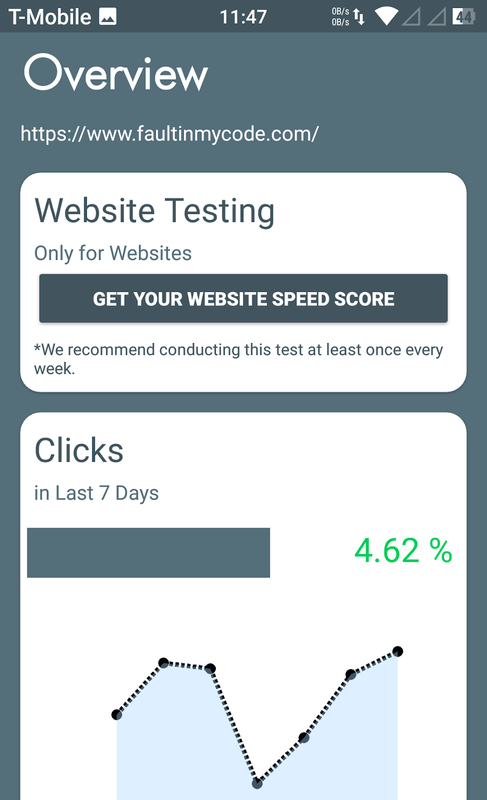 Not only this, The app has a Website Speed Test Card in the Overview activity where you can test the respective homepage of the website. Doing this will help you to know how Good your website is performing on different devices. 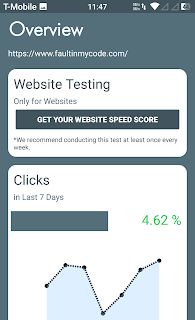 Alternatively, you can download this other App from Play Store Web Page Speed Test to check your website Speed Score and implement different suggestions provided by the app as this can help you make sound decisions. These tips must be remembered by developers for the best development experience to get their website rank well on Google. The web and mobile app developers in Kenya can use the best strategies to improve the quality of their work and client satisfaction.